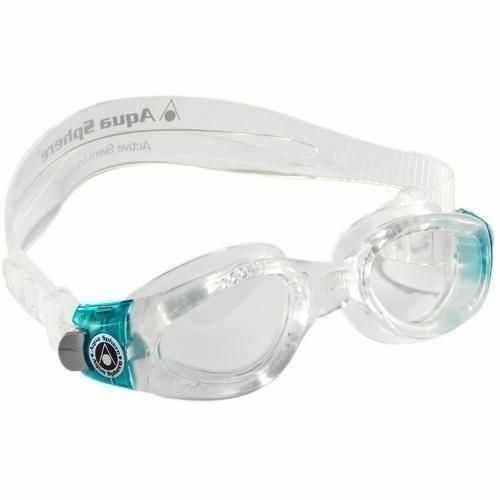 The Aqua Sphere Kaiman Lady Swimming Goggles - Clear Lens offer excellent comfort and visibility with 180 degree panoramic vision and easy to adjust buckles for a custom fit. These goggles are constructed of Softeril providing 100% UVA and UVB protection and also feature the Aqua Sphere Quick Fit system that makes it easy to adjust the buckles to your own fit. for submitting product information about Aqua Sphere Kaiman Lady Swimming Goggles - Clear Lens We aim to answer all questions within 2-3 days. 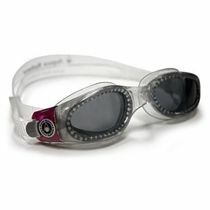 for submitting product information about Aqua Sphere Kaiman Lady Swimming Goggles - Clear Lens. We aim to answer all questions within 2-3 days. If you provided your name and email address, we will email you as soon as the answer is published. Excellent goggles, best I've tried, would definitely recommend. These are the best goggles I have ever bought ! After years of swimming with goggles that are just about comfortable and maybe leak on and off I have finally found d some that seem to fit perfectly for a small face and don't need to suction your eye sockets and leave horrendous marks for rest of day . They are super comfortable and very easy to adjust . They don't start to steam up until about 50 length . They were such good value that even if they don't last that long I would buy them again and again because it's just brilliant to find comfortable goggles that don't give me a headache don't leak and don't steam up immediately . I'm also a contact lenses wearer so they have made swimming sessions stressless . Brilliant ! 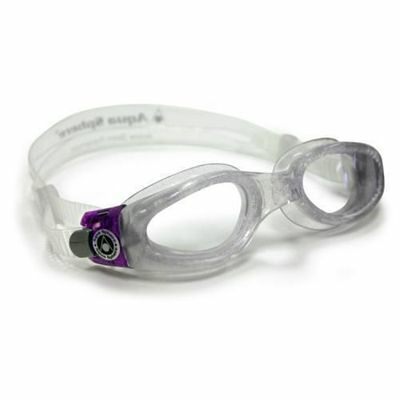 for submitting product review about Aqua Sphere Kaiman Lady Swimming Goggles - Clear Lens.